Our recent engagement with the THRIVE Farmers business model is not a statement against other methods of fair business practices, however we are excited about these new endeavors and appreciate how they are bringing us such interesting coffees and seeking to improve the way in which farmers are compensated and able to continue growing their farms. The San Cristobal "honey-process" has its own interesting story we've told you about recently. It also was used by Michael in his recent success at the USCC Barista Competition. This coffee was the first we worked with THRIVE in obtaining. You can read more about the specific unique process of that coffee (and order it) here. THRIVE's basic approach is to allow for direct relationships from the farmer to the roaster without a lot of the costs and logistical challenges that make that impractical for many. 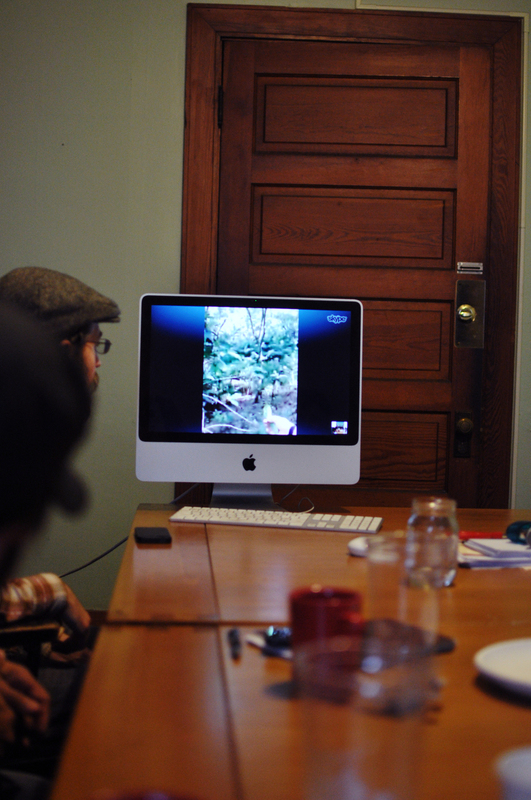 Several weeks ago we were fortunate enough to be able to talk to the farmer -in addition to the guys at THRIVE- through Skype and learned a little more about both the process and THRIVE's practices and hopes. But we certainly can't tell the story as well and personally as THRIVE farmer Alejandro Garcia. We encourage you to watch.